This client was looking to turn a photograph into a beautiful landscape to hang in his executive office. This piece was a collaboration between the client, his decorator and the artist. 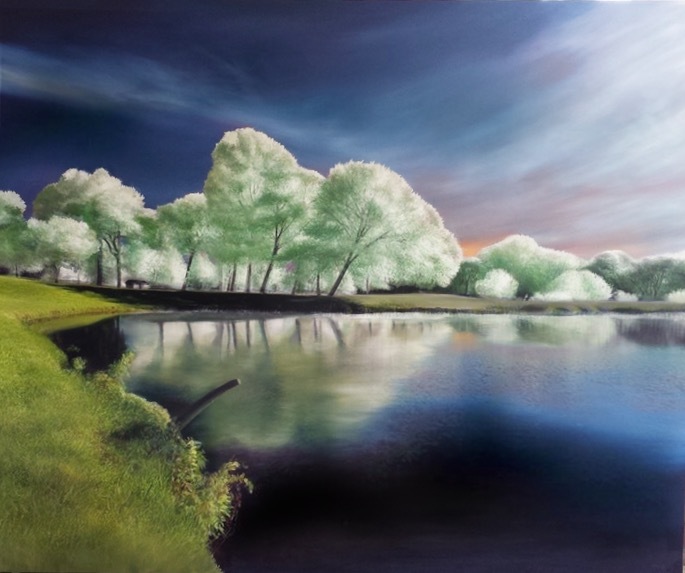 The result was a large (72” x 60″) landscape that created an uplifting and optimistic atmosphere.